Quite often you will meet people from Naas who, when seeing boats on the canal just below the town will remark ‘I have lived here all my life and I have never seen a boat.’ Well Kildare IWAI is changing that phenomenon through the Naas Canal Festival. Kildare IWAI has over the years established regular boat rallies to Naas. Beginning in October 2009 the Naas Canal Festival has become an annual end of season event for Kildare IWAI. The event has enjoyed great support from Naas Town Council, Naas Historical Society, Kildare Youth Services (KYS), local businesses and the community in Naas. 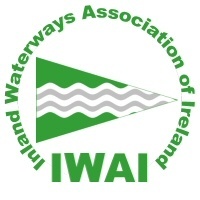 Kildare IWAI has also received great support from the Heritage Boat Association (HBA), many of whom attended the festival in October 2009 to mark 220 years of navigation on the Naas Branch. The Naas Branch of the Grand Canal has quite a story to tell. Here it is in summary. The Naas Branch was constructed by an independent company in 1786, with pick and shovel. The purpose was to carry trade from Kilcullen along the Herbertstown/Corbally Branch and onwards to the main line of the Grand Canal through Sallins and onto Dublin. In the end, the canal was only built as far Corbally Harbour, a further 8km from Naas Harbour, where the water source is located. Ownership of the Naas Branch soon transferred to the Grand Canal Company and later to CIE, but even so, trading along this portion of the canal was limited. Trading ceased altogether on the Grand Canal in 1959 and the canal gradually became derelict. In 1977, Dublin IWAI began work to restore the Naas Branch of the canal. Regular campaigning at Boat Rallies over the following years pushed for restoration of the Naas Branch. Much of this restoration work took place during the tenure of the OPW. In 1984, Kildare IWAI was formed and in 1987, the Naas Branch of the Grand Canal was officially reopened. Leinster Leader It was 2002 when Naas Harbour was finally reopened. However, the Herbertstown/Corbally Branch has remained closed to navigation because of the obstruction and culvert under the Limerick Road. So why is Naas such an attractive destination for boat owners? Kildare IWAI has renewed its focus on Naas for a number of reasons. Firstly, the flight of five locks to ascend to Naas Harbour marks the highest point on the Grand Canal. This in itself is a challenge to boat owners. These locks must continue to be used to preserve them and to do justice to the efforts of past IWAI Members and the authorities who worked to restore the Branch in the 1980s. Naas Harbour is a real gem of Kildare’s county town. It boasts safe mooring in the shadow of the restored Canal Stores and is located only a short distance from all that Naas has to offer. The appearance of boats in Naas on a regular basis highlights the amenity potential of the linear park from Sallins to Naas. Holding the annual canal festival in Naas Harbour, focuses on the positive contribution that boat tourism makes to the local economy in Naas and its environs. The Naas Branch is hugely popular with walkers and cyclists and the boats bring added colour and life to the area. The campaign to reopen the Herbertstown/Corbally Branch continues. During the Naas Canal Festival, members of Kildare IWAI take visitors along the Corbally Branch as far as the Limerick Road culvert. Kildare IWAI is seeking support for the redesign of the watercourse under the road to allow navigation once again. This action will take place in the context of other road developments proposed for this area, to minimise the cost to Kildare Co Co. Kildare IWAI has been working with Waterways Ireland, the navigation authority to progress the campaign for restoration of the Herbertstown/Corbally Branch and the extension of the linear Park to Corbally Harbour. It is the hope of Kildare IWAI that in time a fully restored Herbertstown/Corbally Branch and Harbour will extend areas where people can safely walk, run, cycle and teach children to appreciate and use waterways with kayaking and canoeing.